If Health Care Dies, Who Will The Murderer Be? Moreover, many of the pieces that poll well, like deficit reduction, are things that voters like, but don't believe this bill will achieve. They're not going to believe it any more after you pass the bill through a process that involves buying off every special interest group in sight. Legislators are not unaware of this problem, and they cannot be magicked into ignoring their constituents by saying, "These are not the polls you are looking for." This would be a decent argument if the choices on the table were "pass health care" and "go back in time to the spring of 2009 and decide not to take up health care." McArdle does not address the point that both houses of Congress have already voted for health care. They already own the downside. Their opponents can attack them for having voted for tax hikes and Medicare cuts and death panels. But suppose I'm wrong about that. Suppose there's no upside at all to passing health care reform. McArdle assumes, without explicating her reasons, that walking away from the issue is a way for Democrats to cut their losses. Why, though, would that be the case? Passing the bill may or may not make it more popular, letting it die is surely going to make it less popular. If the bill dies, then it's the subject of lengthy, painful postmortem coverage detailing its flaws and mistakes. It becomes the symbol of big government run amok, and the 60 Senate Democrats and 220 House Democrats who voted for it will suffer politically all the more. Moreover, the already-demoralized liberal base would become apoplectic with the Democratic Party. 1994 was bad, but passing a bill through both chambers then sitting by and letting it die is the kind of behavior that makes even the most pragmatic Democratic voter want to punish his own party. In sum, I'm totally unpersuaded by the argument that Democrats will let health care die because it's in their interest to do so. It's not. It's a suicide pact, and pretty much every liberal I know -- the kinds of liberals who understand the need for compromise and running to the center -- will be there to hold the pillow over their face if they do it. They don't want to say they want to kill it, of course. So instead, they're doing pretty much what I expected: putting it on the back burner. We want to pass health care, but we just have a few things to do first . . .
Mr. Emanuel, the chief of staff, said he hoped Congressional Democrats would take up the jobs bill next week. Then, in his view, Congress would move to the president’s plan to impose a fee on banks to help offset losses to the Troubled Asset Relief Program, the fund used to bail out banks and automakers. Lawmakers would next deal with a financial regulatory overhaul, and then pick up where they left off on health care. Moreover, there's a time limit on health-care reform. The open reconciliation instructions the Senate could use to modify the bill expire when the next budget is (there's disagreement over the precise rule on this) considered or passed. That is to say, the open reconciliation instructions expire soon. Democrats could build new reconciliation instructions into the next budget, but that's going to be a heavy lift. The good news, for those inclined to freak out, is that Emanuel is not necessarily speaking for the administration. (See Jonathan Not Me, who unlike me is highly plugged in.) 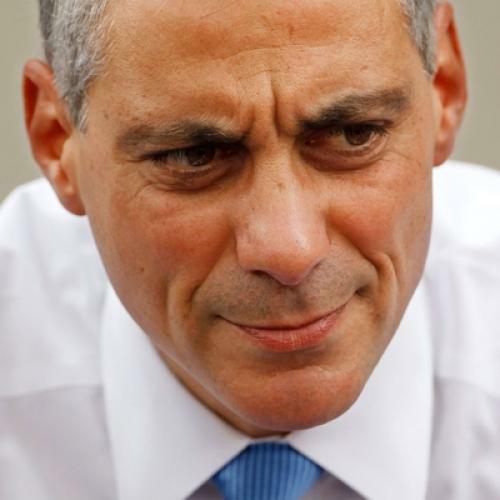 Emanuel's message is not David Axelrod's message. And it's not Obama's message. But Emanuel is out there floating his rock tour/Vegas/Army enlistment plan, and that's a major problem for Democrats, not to mention the national interest. I see two potential explanations. Either Obama doesn't know what he wants to do, and his deputies are spreading conflicting stories in order to see what takes, in which case he needs to make up his mind pronto. Or else he wants to do what he says he wants to do, but his chief of staff is out there subverting his agenda and making Congress doubt his seriousness, in which case Obama needs to shut up Emanuel or fire him. Update: Jonathan Cohn has more on this.